Marti Ranky, BS(Hons), is a Registered Dietitian in the USA as well as in the United Kingdom / Europe. She was born and grew up in Hungary, Europe and has co-authored several educational Multimedia publications. She received her BS Honors degree in Nutrition from the University of Surrey, UK, and presents lectures and cooking demonstrations of her 'Paint Your Meals' program from her private practice in New Jersey, USA. Marti Ranky, BS(Hons), is a Registered Dietitian in the USA as well as in the United Kingdom / Europe. She was born and grew up in Hungary, Europe and has co-authored several educational Multimedia publications. She received her BS Honors degree in Nutrition from the University of Surrey, UK, and presents lectures and cooking demonstrations of her 'Paint Your Meals' program from her private practice in New Jersey, USA. 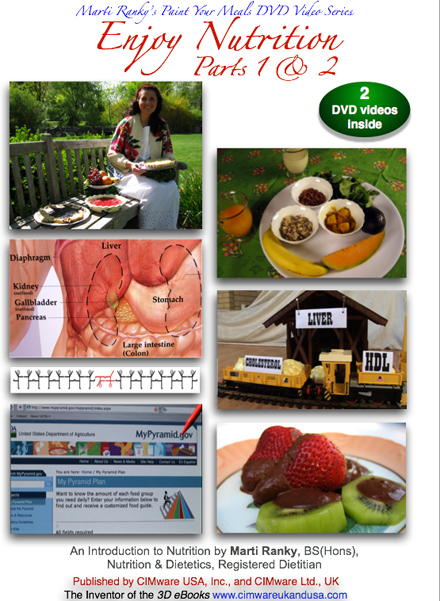 (You can contact her through the publishers: http://www.cimwareukandusa.com/CIMwarePublPages/NutritionalConsulting.html). 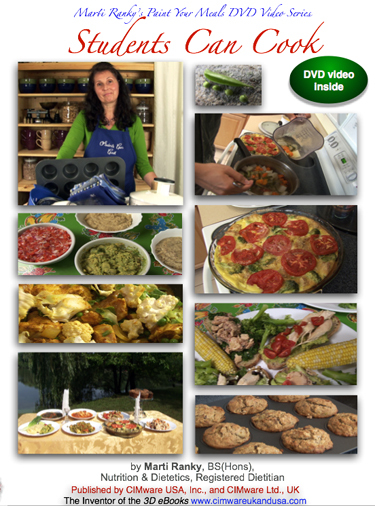 She is also the best selling author of the Enjoy Nutrition, DVD Duo program.